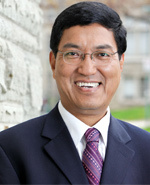 Much has been made over the past week about Western University president Amit Chakma's double salary last year. There has been rightful indignation about the ethics of the matter however focus on outliers such as Chakma and the OPG's Thomas Mitchell is masking even more outrageously wasteful public spending. People can relate more to an individual's salary as they immediately compare it to their own. But if we look at the numbers as a whole targeting sectors and employers, we can see that any one individual outlier on the list is irrelevant to the general trend in raises on the sunshine list being sub-three percent since 2011. The University of Guelph is much more egregious than Western University, having given a 7.58% raise to elite staff last year in comparison to 3.79% at Western. They handed out over 8 million dollars in raises to their elite in contrast to 5.8 million for the much larger Western University which has over 400 more people on the list. Keep in mind that both universities have had healthy raises year-over-year usually outstripping the average. The short-lived furor is leading to budgetary rules that might cut down individual outliers. But no mention or notice is paid to what is an exponentially larger source of wasteful spending in the public sector. Follow us on Twitter @SunshineList for more analysis targeting employers and sectors that abuse public funds.